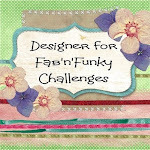 Today sees the start of another 'anything goes' challenge over at Penny's Paper Crafty. This week we have two wonderful sponsors this time, Art By Miran and Imagine That. I was given an Imagine That image to play with that I have simply coloured with ProMarkers and then matted it onto the card base. I hope you will pop on over to the main blog and check out the other DT creations before joining in the fun yourselves. Thanks for stopping by, and I'll be back soon with even more creations. lol, I love your funny christmas birds! Thanks for showing it for paperminutes this week. What a fun design, robins so cute :) thanks for joining us at Digi Choosday Challenge - Traditional Xmas. 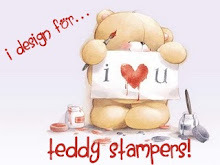 What a cute card, love the image. Thank you for joining us at Crafting from the Heart. A great card - thanks for joining us at the Cutie Pie Challenge.